A hijab also referred as the head scarf is a veil worn by Muslim women to cover their head and neck leaving their face clear. Christian and Jewish also wear a hijab style scarf headscarf as a cultural practice or commitment to modesty or piety. 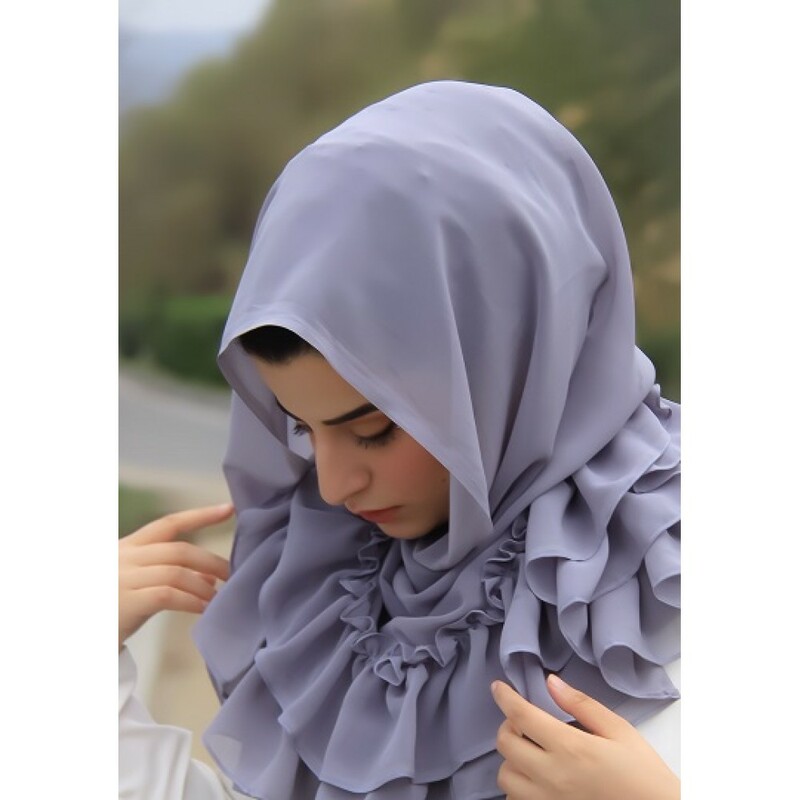 Grey is classy, it never goes out of fashion and goes well with almost every dress you wear.The ruffle design on this hijab gives it a completely different look all together and is going to compliment both contemporary and ethnic dress. Get dolled up in this beautiful hijab and give yourself a fresh look. We present to you the premium signature collection of Hijabs. These hijabs are carefully chosen by Sundas who is a renowned name when it comes to the promotion of Modest wear.